Senturk Deniz Malzemeleri is located in Istanbul, Tuzla region which is the heart of the shipbuilding industry of Turkey. 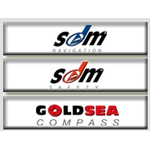 The company provides all kinds of ship supplies to its customers. The company manufactures majority of these products under its own brand SDM. Senturk Deniz Malzemeleri is looking for trade intermediaries active in the field marine industry that could promote their products under the brand SDM in foreign markets. Likewise the company also is open to communicate with the manufacturers of marine related supplies and offer its market channels in Turkey for acting as a distributor or an agent.